The biggest change we may notice is the way that Google uses the new algorithm to interpret and deliver search results. Why did Google even create the Hummingbird update? 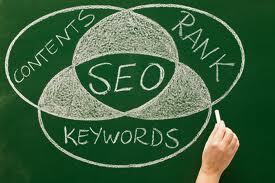 Now that Google is what it is – they have to work diligently to maintain a good search presence. They’ve already got it started, and now they have to stick with it. Really, it all started when Google came out with their first search engine. One of the problems that arose is that users were typing in questions instead of just keywords. Another change that Google had to address eventually was the fact that more users were beginning to use their mobile devices for searches. Google has to be able to answer a question now and they are working to refine their comprehension. Pretty much every time there is an update, there are changes that ripple across SEO strategies. A few things may remain the same but there have been a lot of changes lately. Most of the primary SEO best practices have stayed the same although we have to change how they are done. For instance, keywords are still important, but we have to change the way they are used; link building is still important too, but how you build links now is very important. A slight variance in either of these areas and a site can incur a penalty that is difficult to recover from. If Google notices that there are a lot of people sharing your content, engaging with you and talking about you, then you are on the right track. But this all has to happen naturally. In order to ensure that social marketing strategies appear natural to Google you want to create a very strong branded social presence in which you share relevant content that does not appear to just be pushing your own stuff around. You do want to continue to add share buttons to all of your content and always include a call to action which encourages readers to share. As stated before, you really do want to encourage reviews by consumers or customers too. What it really comes down to is a natural interaction between your site, your content and the online community. You want to continue creating original, high quality content that is made for real people and not in an attempt to trick the search engines. Interactions need to be genuine, relevant and real.